Justin Germino knows his technology. This is the 2nd Annual Technology Gift Guide and Justin gives his recommendations (and why!) for technology and gadgets for young people who are young and old. 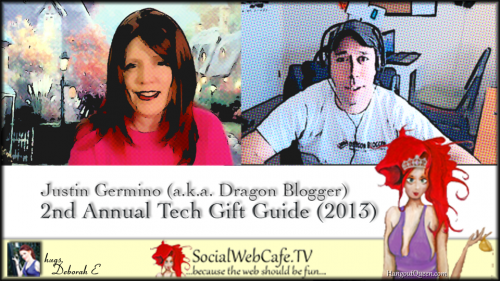 For a full listing of reviews and the full gift guide, please visit 2nd Annual Dragon Blogger Technology Gift Guide in the Social Web Cafe (2013) on Ileane's Basic Blog Tips. 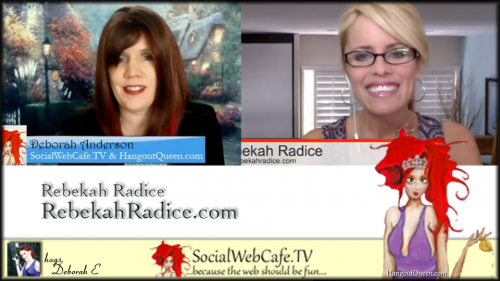 Rebekah Radice is the Manager of Industry Engagement for Better Homes and Gardens Real Estate. She is much more than that and there is good reason why she was chosen for such a prestigious role. Ms. Radice understands engagement in a way that is innovative and she helps others to implement engagement through social media for themselves and for their brand. 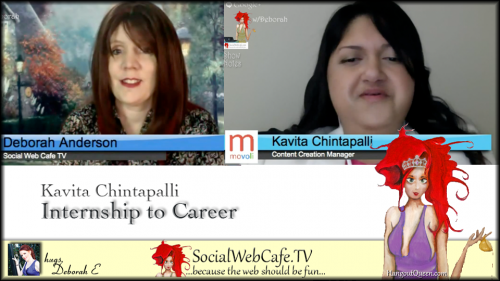 She teaches the concept of being “relatable and accessible” and how that is key to your engagement efforts in the web arena. 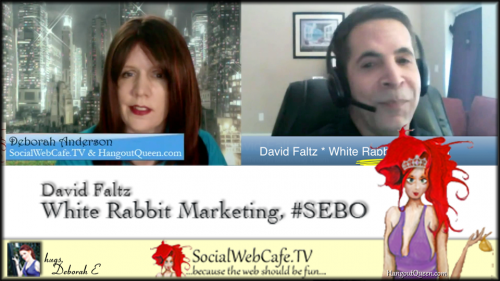 David Faltz, founder of White Rabbit Marketing, has an innovative approach to how he succeeds in getting his clients on the first page of SERPs (Search Engine Results Page). He keeps the high-quality service while delivering results. 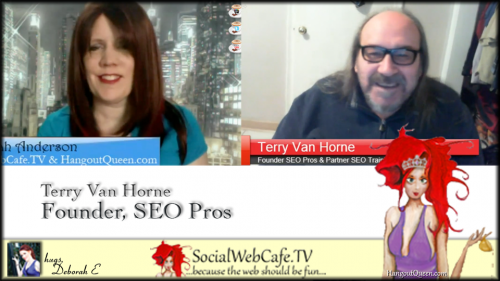 He has coined the acronym SEBO, which stands for Search Engine Branding Optimization. Listen as he shares his innovative approach, as well as quick actionable tips that you can implement. What is it that makes some of your followers click on one article or post and not another? Wade Harman spends time pondering and analyzing this type of question and shares his findings with his readers. 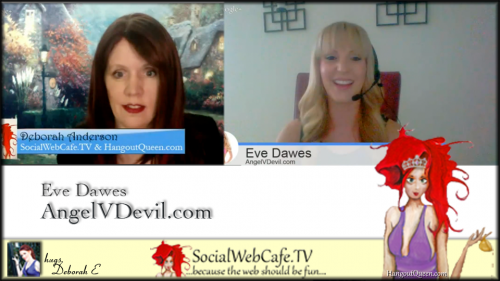 Listen as Wade introduces himself to our Social Web Cafe audience and decide for yourself what will work for your business. Did you know that you can use story to promote your business? 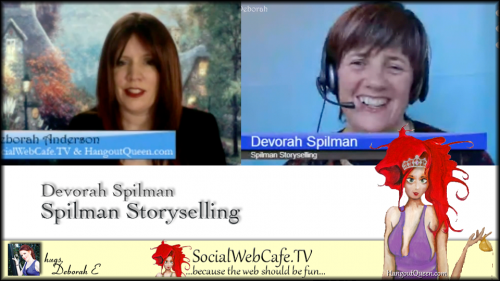 Devorah Spilman has been telling stories for many years. She is a master storyteller. Now, she shares insights and ideas on how to create imagery that draws your audience in and gives them an opportunity to get to know you and your brand and become your engaged customer.